TEN TON SLUG CONFIRMED AS SPECIAL GUESTS FOR METAL 2 THE MASSES IRELAND GRAND FINAL. 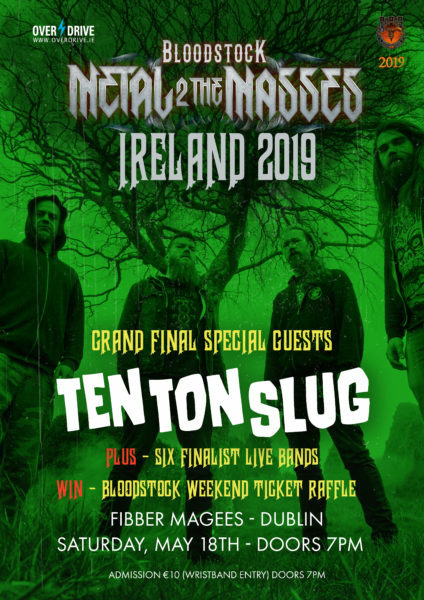 Irish Doom/Sludge legends, TEN TON SLUG will be taking to the stage in Fibber Magees on Saturday, May 18th as special guests for the Metal 2 The Masses Irish Grand Final. How good is that? With this year’s Bloodstock Metal 2 The Masses Grand Final taking place in Fibber Magees on Saturday, May 18th, there is no doubt that this show will be one for the history books. 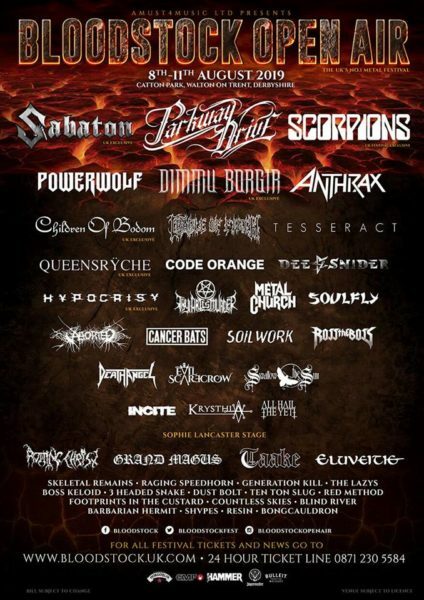 As usual, there will be six finalists performing for their place at this year’s Bloodstock Open Air Festival in the UK, sharing the bill with the likes of Scorpions, Parkway Drive, Sabaton, Death Angel, Grand Magus, Anthrax, Code Orange, Hyprocisy, Thy Art is Murder, Metal Church, Soulfly, Queensryche, Cradle of Filth and many, many more.. This years’ Grand Final guest band is none other than TEN TON SLUG who have recently been added to this year’s official Bloodstock line up, where they will be performing as main support for Rotting Christ on the Sophie Lancaster stage on Thursday, August 8th. 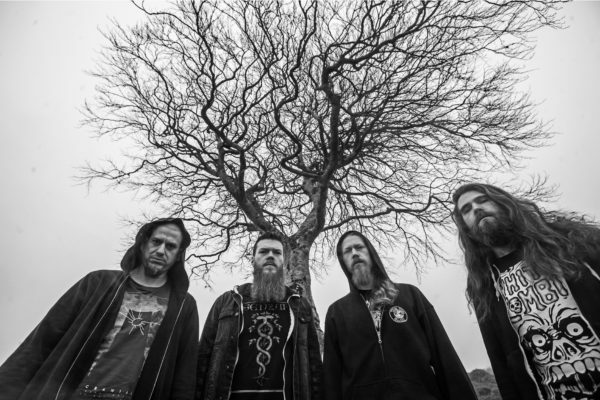 Having won the 2016 Ireland Metal 2 The Masses, the Galway-based Slug lads have been on a winning trajectory making a name for themselves thanks to their intense live shows and critically acclaimed releases. As well as Ten Ton Slug, the 2019 Bloodstock Metal 2 The Masses Irish Grand Final will host six crushing bands, who will all be playing their hearts out for a place at this year’s Bloodstock Open Air Festival in Derbyshire between August 8th and 11th. The Metal 2 The Masses Ireland Grand Final will take place in Dublin’s Fibber Magees on Saturday, May 18th. Admission is €10 and doors are from 7 pm. There will be raffles giving away FULL WEEKEND BLOODSTOCK CAMPING TICKETS as well as EMP swag and a bucket load of top class Irish metal! Tickets for Bloodstock Open Air are on sale NOW via this link.